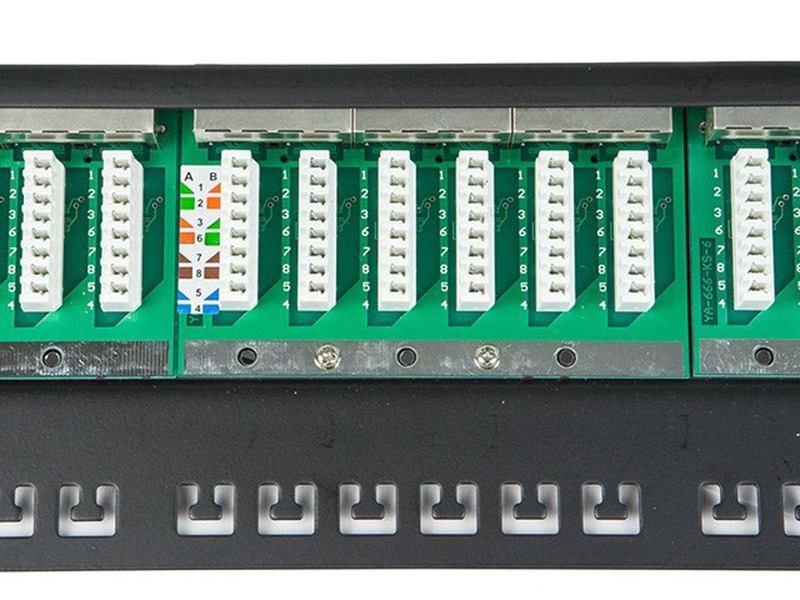 Can you use coupler keystone jacks in any of these half-u patch panels? No. These do not accept Keystone or MDVO Jacks. 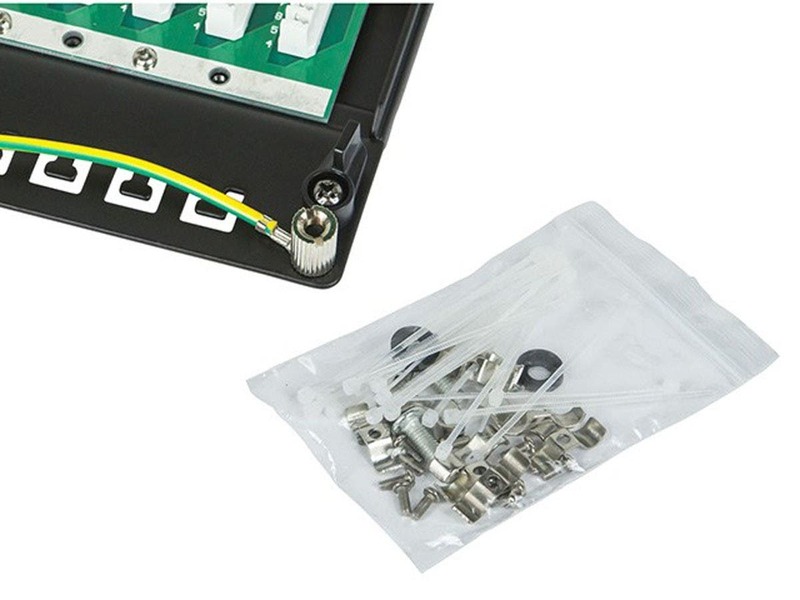 The construction is RJ45 Jack to PCB. On the inside are BIX type punch down connections (on PCB) to which you make your connection. At the back of the panel is a small opening to the outside world where your Cat5/6E STP wire is routed into/through. Hope that helps. - Fellow Consumer/User. The panel itself is fully populated but if you needed to join an existing line you can use a keystone coupler I guess... You would no linger be cat 6a complient so, I wouldn't recommend it. 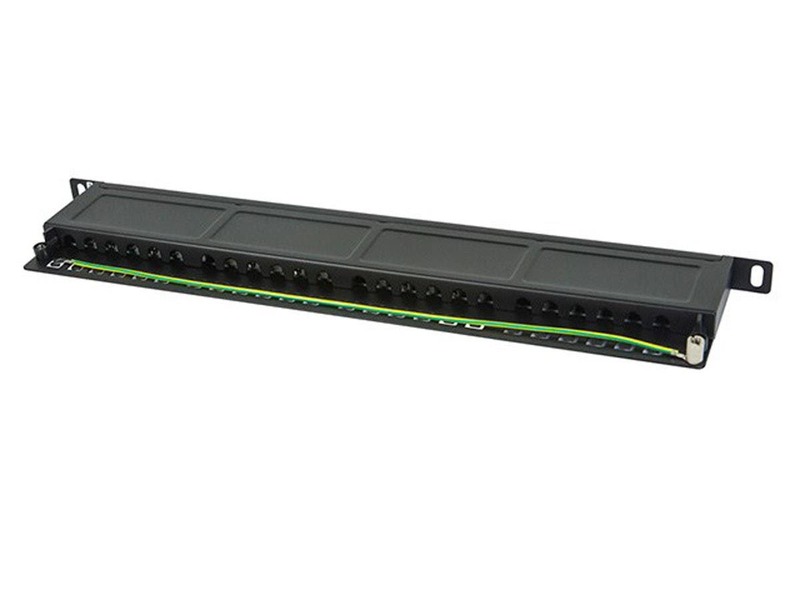 what the difference between SpaceSaver 19" Half-U Shielded Cat6A Patch Panel, 24 Ports, Dual IDC and the Horizontal 180° patch panel? BEST ANSWER: Shielded vs un-shielded would be my best answer. Shielded cable & proper grounding are important if you have a lot of emf in your area (motors/furnaces/radio waves/industrial machinery/magnetic doors locks), to prevent cross-talk. Can you fit two of these in a single 1U of rack space? BEST ANSWER: Yes - that’s what the half-u is and two defnitely fit in a single 1U. After punching down the wires from my CAT6A cables, I noticed some of the metal teeth were bending or breaking out, making the port completely useless. I was using a pro-quality impact punchdown tool, and have never had this problem before. Just a little sad since it is an otherwise well-built unit. Great except for one thing. They port are the wrong orientation. They should be flipped so the pins are on top. This preventing accumulation of natural dust on connections. I found this patch panel to be well built. It is easy to install if you extend the cables thru the front of the rack and mount after the cables are terminated. We use panel maps so we don't need a place for labels. On our installation it saved me 12 RU. If you need space for labels pick a different patch panel. Have not used it yet but it seems rugged durable can't wait to use it. I was slightly curious to see it in person since I did read some reviews who said it seemed cheap but to my surprise it seems like a great product to me. Lost 3 Hours of lost work and lots of frustration. Sad to say. 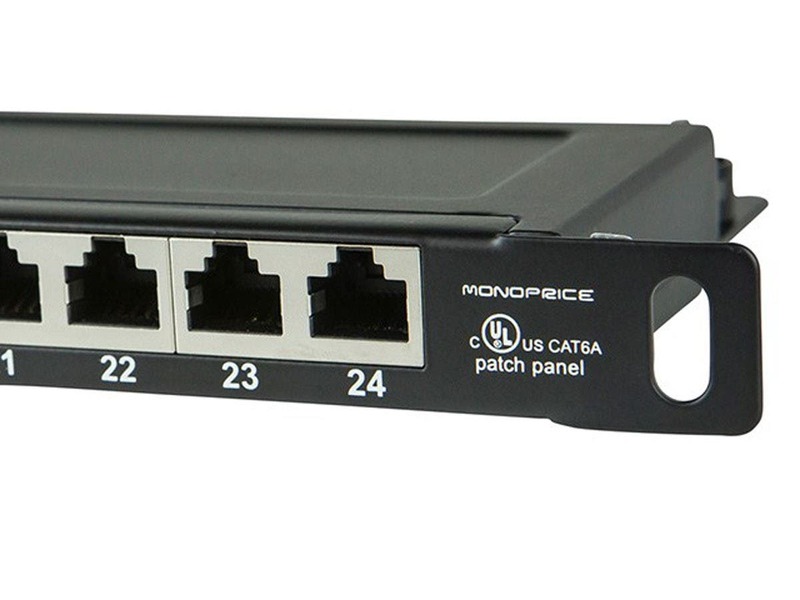 I connected up wiring Cat6A-568C to 2 of these patch panels- one on each end. And after all connections were patched a number of ports did not work. At least 1/2 were not working. Also, I repatched a few to make sure if there were bad terminations and still nothing. This wasted approximately 3-4 hours of patching, troubleshooting, and repatching to a new set of patch panels. A different set of old patch panels worked flawlessly. I don't know if its the circuit board on this, the connectors, or something to do with the wiring 568C (which tech support could not confirm). However, it's not worth the risk for a future installation from my point of view. Needless to say, I am returning and Monoprice had no issues with the return. 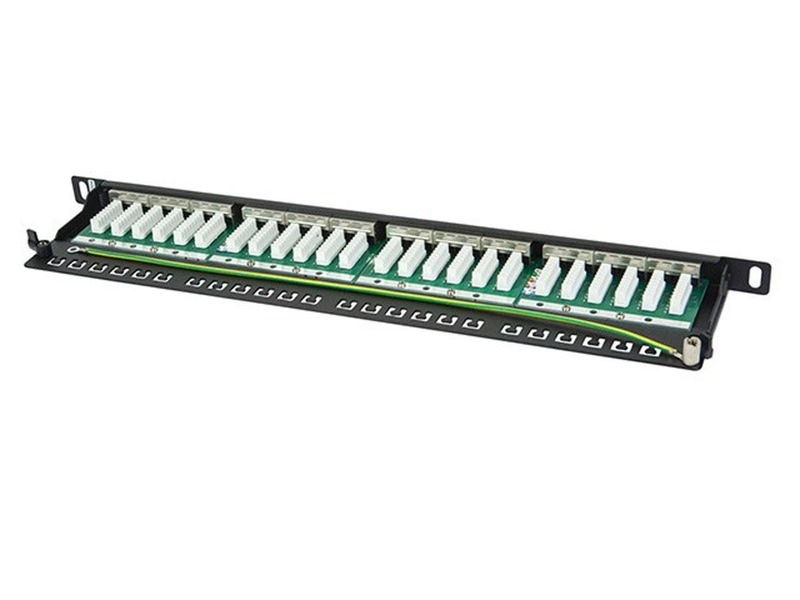 This is the best patch panel I have ever used. In addition to being shielded, the half-U design makes it easier to punch down cables. 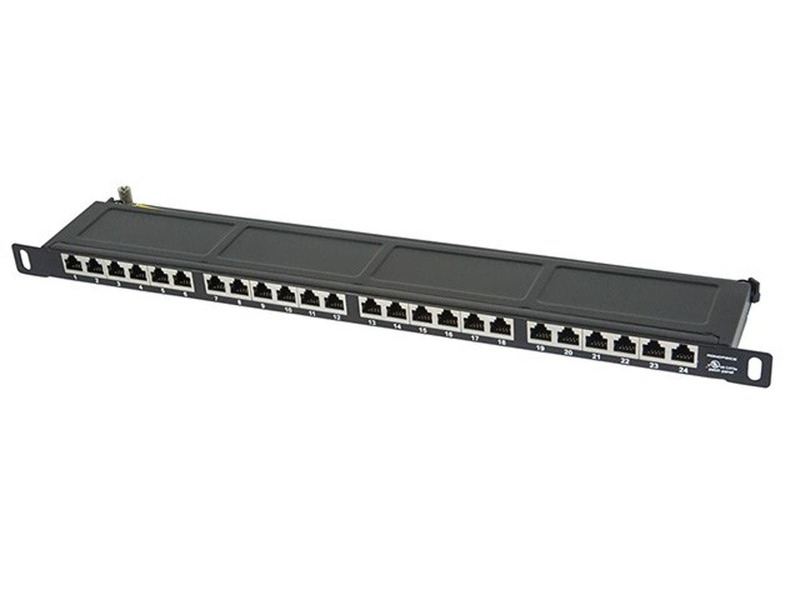 All you need to do is be able to get above the patch panel.